Details on the ONLY Zimbabwean representing at the Winter Olympics! So I just found out from a close friend that there is a skier representing for Zimbabwe at the Winter Olympics! What's even more remarkable is that snow has fallen just once in Zim more than 50 years ago. So how did the 20 year old perfect his craft? According to Sports Illustrated "He needed snow and therefore other countries to make his winter dream happen after first taking up skiing on family vacations in Europe. 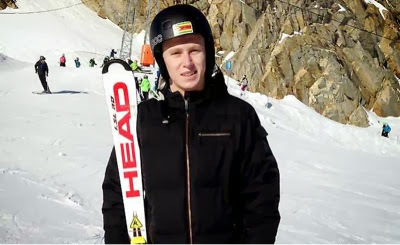 He perfected his art while studying in the United States, on trips to New Zealand and Chile, and then throughout Europe in a bid to qualify"
Luke was born in Zimbabwe and is backed by Zimbabwe’s recently formed snow sports group and the national sports council. What a great story! We are rooting for you Luke!